HMD Global introduced its first-ever Nokia-branded smartphone to feature a notch display design, but the device is only available in China. Although the notch is still a controversial feature that many don't see as an improvement, the Nokia X6 has been met with a lot of enthusiasm in China. As a consequence, HMD Global's COP Juho Sarvikas posted a poll earlier today asking fans if they would be interested in a worldwide release of the Nokia X6. The poll ended pretty quickly and it showed once again how powerful the Nokia brand is all over the world. Out of the more than 8.5k people who voted during the poll, no less than 92% want HMD to bring the Nokia X6 to other markets in the future. According to Juho, the vote was conclusive, so I guess we'll just have to wait and see if the Finnish company will really bring the Nokia X6 to more markets anytime soon. 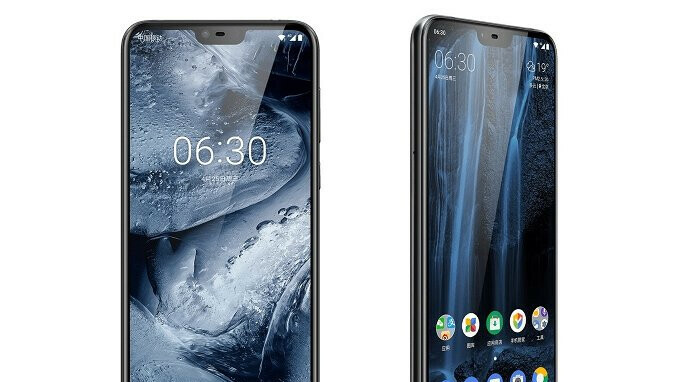 An earlier report claimed HMD plans to launch two more X series phones – Nokia X5 and X7, while the Nokia X6 will remain a China-exclusive. Well, it appears that those plans changed if we are to take into consideration Juho Sarvikas' recent poll and its results. Well there x series stand for notch just like iphone x,I want reports on their N,C series models so far no news on that,also if they are planning to launch it outside china they better includes all goodies inside without any compromise except removal of notch and a low price like nokia like 6.1 it will sell well with that. That would be awesome if the Nokia X6 is brought to the rest of the world. HMD has really been doing their thing in the mobile world, despite what some have said about the amount of smartphones they put out. Releasing yearly versions of their current smartphone roster along with some different ones has been paying off for them, as they are now a top 10 mobile phone OEM, outselling the likes of Google, HTC, Sony, ASUS, OnePlus and Lenovo. Nokia smartphones have always been my absolute favorite (Symbian line), and HMD has been doing the Nokia name proud. I think HMD were planning on releasing it either way, polling to drum up enthusiasm. Not seeing NFC listed as a feature of this phone. Bummer. Great, now ADD features too after a poll. Or make phones that consumers realy want instead of shoving crap down our throats. So HMD, add ir-blasters, proper call recording and ditch that goddamn notch like we want! They wont give you all in a 200$ phone ? Sweet! Here's hoping that they bring it to the UK asap.